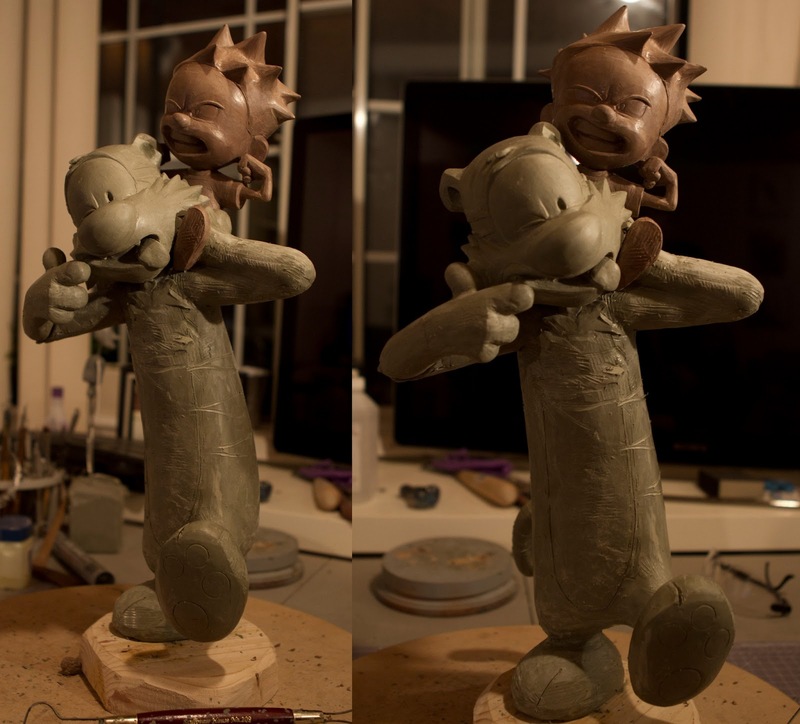 In progress Calvin and Hobbes for Patricio. These are some very tough characters to sculpt! I can't wait to see it in colors. Calvin and Hobbes is probably my favorite strip comics.